I spent about 6 hours last night working on the cover art for Derelict by LJ Cohen--Lisa. Here's it is! 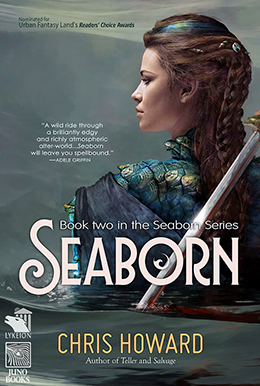 Seaborn is on the front page of Addicted to eBooks! Originally published in Fantasy Magazine, June 2010, Lost Dogs and Fireplace Archaeology is about the children of the men and women in the US Army who grow up going to ten different schools, who lose and find friends at every post, and the pieces of themselves they leave behind every time they move. Nanowhere is officially out. We're running a winter promotional and through the end of the month it's only .99 cents at Amazon, B&N, and iBooks. I posted a couple of my scene studies in watercolors below.